The camper has a total of five berths. In the alcove can sleep two adults. Train seating is also a spacious two person's bed to be made. And the long bench against the side seating group can be made a one person's bed. Also, it is possible there is a very large bed of two person's to make along with the side seating group. The camper is further 100% in order and well maintained. 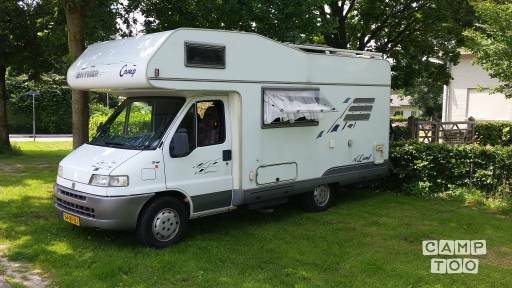 Mount is a Fiat Ducato 2.5 Turbo Diesel, built in 1998. This car has power steering. NOTE: In high season the rental minimum of 2 weeks and runs the rental of Saturday morning 10:00 am thru Friday 19:00. Pets if necessary. in consultation. 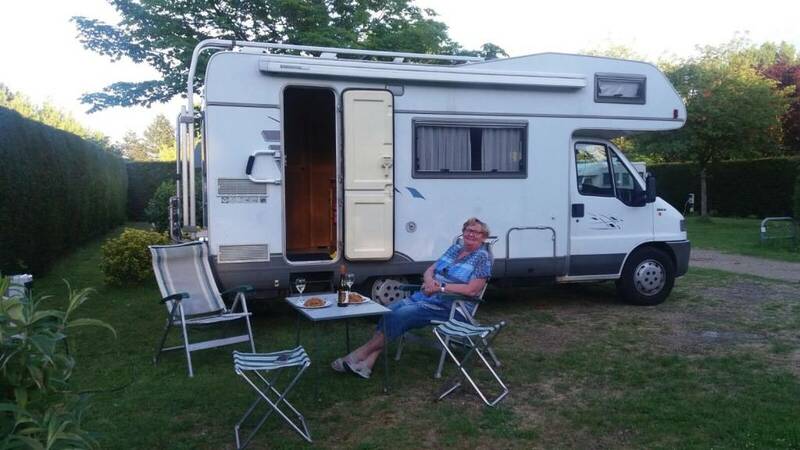 De camper was voor een prima manier om de familie in Nederland te bezoeken. Roel had het prima voor ons verzorgd. De camper werd op Schiphol afgeleverd en Roel had zelfs beddengoed verzorgd omdat wij uit het buitenland kwamen. Top!! !